Marcus Coates (born London, 1968) is well-known for his video works, which record the artist making shamanistic performances. These events tend to take place in municipal spaces such as offices or council housing buildings, and happen in front of members of the public. The viewer is left unsure as to Coates’ convictions, as the work oscillates between comedy and a proposition that art can be restorative. 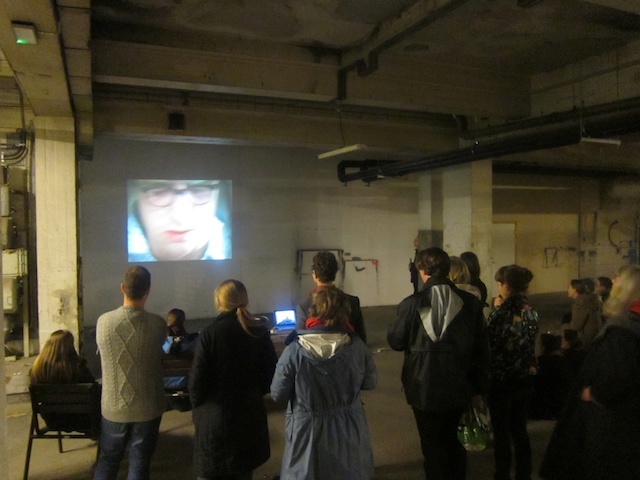 At Samtalekøkkenet December 2011, we presented a selection of Marcus Coates´ video works until 2010.